Until now, people discuss about the divinity of the Christ and don't accept that it's true. People say that Jesus Christ is just a good man or He is just a great prophet, but the Bible states that He comes from heaven. The Bible confirms us that Jesus is Immanuel = " God is with us " ( Matthew 1 : 23 ). Is there something impossible to God ? We know that everything is possible to God and He can do what He wants. So it’s possible for Him to come on earth as human being if it’s his intention. Already in this time people have a lot of different answers. Nowadays everybody gives answer according to his own opinion. There were already a lot of papers & talks about the divinity of Jesus. 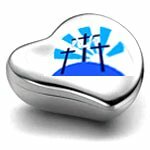 For some people, Jesus is a philanthropist ; for others, He is those who has founded the christian religion. Your logical answer is not important. The important is " What is Jesus for you ? ". The important is the place of Jesus in your life & during your life. ... This is so important because your eternal life ( your everlasting existence ) depends on your answer ; yes, one day you have to explain to God your behaviour. This speech was said by The Christ, the Son of God, 2000 years ago. In the same time, the huge Roman empire controlled the world. Rome was proud of its triumph, so it said that it was eternal. Nowadays all of this Roman empire fell into ruin ; they have disappeared with their idols. But Jesus Christ's words are always there. 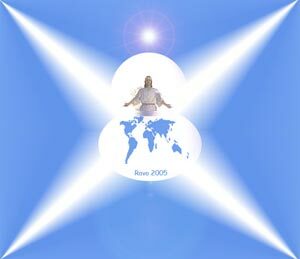 The christian sees empires and human's prodigious realisations fall down, because christian's retreat is not made by men : God is his retreat and his strength ; and Jesus Christ, the unique Son of God, his Lord and his Saviour !
" 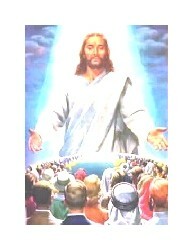 Christ Jesus who came into the world to save sinners " ( 1 Timothy 1 : 15 ). All his life, Jesus was put to the test by the Devil, by men, by religious people, by the most powerful chiefs of the world ( Caiaphas, Herod, Pilate ), by his own brothers ( John 7 : 5 ). The highest test for Jesus is the cross. But his Love for God was more strong than his fear to die. Finally, be strong in the Lord ( Christ Jesus ) and in his mighty power ( Ephesians 6 : 10 ). Christian has to do spiritual fight. So he/she must be conscious of the power of the enemy and the difficulties to win. But this force on us is limited, so we can endure evil power ( read James 4 : 7 ). Satan, a very good strategist, continues to lie that he has all rights on us. Spiritual fights are real things, but we have to recall always that on the cross, Jesus has already win this fight against Satan and all evil powers. The Bible says that Jesus has win a great victory on the cross ( read Colossians 2 : 15 ). By his death, Jesus might destroy those who has the power over death, that means the Devil ( read Hebrews 2 : 14 ). At last, Jesus was resuscitated, it is an absolute proof of his victory ! By this success, we have too victory in our daily life ( I Corinthians 15 : 57 ) ; but to have this victory, we must walk and live with the Christ ! 1- Zacchaeus, the tax collector. He searched Jesus in all his heart, he searched Him through all difficulties. Zacchaeus needed really the Christ so it was a good reason for him to meet Jesus. Jesus meet Zacchaeus and gave him forgiveness, hope and eternal life. He became a new man.